The Plato City Council and Plato Fire Department recognized retired Plato Fire Chief Jay Wood for his 25 years of service to the department at its meeting Monday, July 9. Wood retired from the department in 2017. 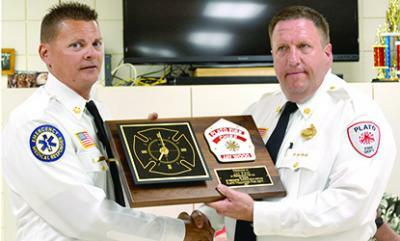 Pictured are Fire Chief Mike Eggers (left) and Wood.